Update: The City Council voted 5-to-0 to support divesting Santa Monica from Wells Fargo. Council members Sue Himmelrich and Pam O’Connor were not present for the vote. Himmelrich recused herself from the vote because she said she has represented Wells Fargo in the past and her husband currently represents Wells Fargo. 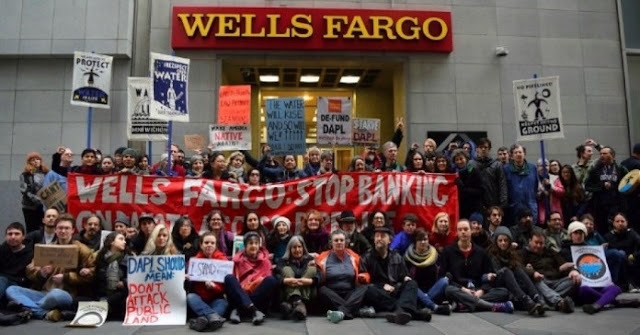 At its meeting tonight, the Santa Monica City Council will consider divesting the beachside city’s funds from Wells Fargo over concerns about the bank’s involvement in the Dakota Access Pipeline (DAPL). The item was placed on Tuesday’s agenda by Councilmembers Terry O’Day and Tony Vazquez and, if approved by the Council, would, “direct staff to examine its investment practices and consider divesting all City funds from Wells Fargo, due to their business practices and their involvement in financing the Dakota Access Pipeline,” according to the agenda. Wells Fargo “is our primary relationship on the list of lenders to DAPL,” said Councilmember Terry O’Day in a post on social media. “We may hear that there are secondary bankers on Tuesday. The outcome we anticipate is an RFP [Request for Proposal] for a new banker,” he said. If the City Council votes to move forward, it would join Seattle, WA and Davis, CA which together pulled some $3 billion of annual cash flow from the bank over concerns about the pipeline and the recent scandal in which Wells Fargo employees were found to have created millions of bogus checking accounts. As of 2 p.m. Tuesday afternoon, a Change.org petition, started by Santa Monica High School alumna Jenna Perelman, supporting the agenda item had garnered about 300 signatures. According to NPR, construction of the final piece of the nearly 1,200-mile pipeline is awaiting approval from the U.S. Army. Controversy over the route of the pipeline exploded onto the national scene last year after the pipeline was rerouted to avoid Bismark, North Dakota. 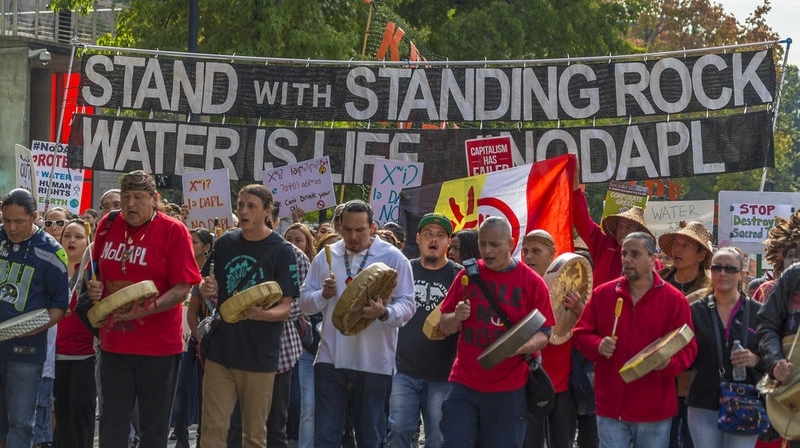 The new route took the pipeline through a major water supply for the Standing Rock Sioux Reservation, causing major concerns about pollution of the vital water source. Responses to "Santa Monica City Council to Divest from Wells Fargo over Dakota Access Pipeline"